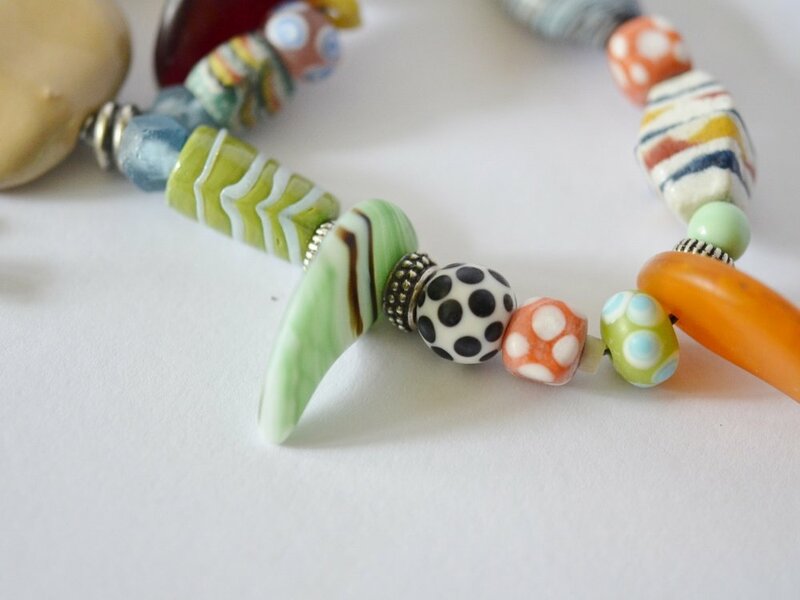 You can view and purchase my jewellery from my etsy shop where you'll find one of a kind bracelets and necklaces using antique glass trade beads from Europe and Asia. What are Trade Beads ? In Africa, trade beads were usedto trade for slaves, services, and goods such as palm oil, gold, and ivory. The term Trade Beads applies to beads made predominately in Venice and Bohemia and other European countries and traded in Africa and the Americas. Many of these beads were made in Germany, France and the Netherlands as well. Beads used in the African trade, the Russian fur trade and among Native American Indians for currency during the 1800s through the mid 1900s. Glass beads such as sky blue Padre Beads became a big part of the regalia of American Indians .Trade beads were brought to them by Fur Traders during a period of 200 years. The beads had a great role to play in the lives of the Native Americans and their culture. Can I buy your jewellery? Yes I have a selection of my bead and textile jewellery for sale in my etsy shop - I do not sell my jewellery from this website. As well as selling my own African trade bead designs I am also able to offer a restringing and re-design service for those clients who would like me to create something original from their own beads.Through my own contacts I can source unique clasps and fastenings as well as different threads and silks to suit every type of design. 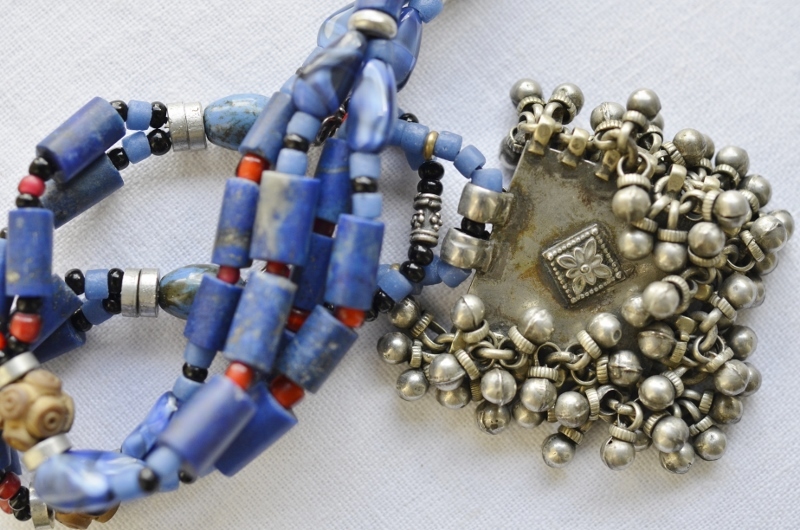 I am able to source ancient and antique beads including African Trade Beads, Moroccan Amber Beads, Roman Glass Beads, and Middle Eastern Coral and Silver Beads. I buy these rare and sometimes ancient trade beads mainly in Ghana where every town has its own bead market selling antique and modern glass, stone and metal beads. Ghana and Mali are the best places to find Trade Beads as it is the ports on the West Coast of Africa where most of the beads were bought in.